Correction: The tax rate for the Iowa sports betting bill was inaccurately described in the initial version of this story. 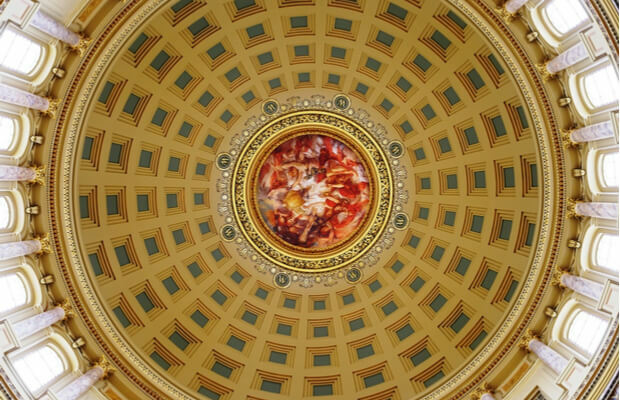 Three different sports betting bills surfaced in the Midwest this week, demonstrating the quickening pace with which legislatures are looking to address the issue of single-game wagering. The new legislation appeared in Illinois, Missouri and Iowa, three gaming states that could all generate significant revenue directly from sports betting while also creating a new tool to drive customers to their gaming facilities. All three bills, if enacted, would take effect if New Jersey prevails in its US Supreme Court case to strike down the federal ban. A sports betting “integrity fee” — a portion of all wagers that would be payable to sports leagues — advanced by the NBA did not appear in any of these bills. The bill in Illinois — S 2478 — is called the “Sports Betting Consumer Protection Act.” Its author is Sen. Don Harmon, who is the president pro tempore of the Senate. The bill allows for the possibility of land-based sports betting as well as online and mobile wagering in the state. The legislation sets up no licensing fees or tax rates on sports wagering, leaving that up to future regulations. Handle in the US may end up being around $200 billion if sports betting is widely legalized. Actual revenue in the US will be a fraction of that figure; hold is generally around five percent of wagers. Earlier this month, a bill had been introduced in the House. But it still has not been filled in with any specific language. Iowa’s new sports betting bill was introduced on Tuesday by a subcommittee that includes Rep. Ken Rizer. It’s no surprise to see the Hawkeye State join the movement. Late last year, Iowa Gaming Association president Wes Ehrecke expressed his approval of sports betting. “To have it here, I believe will be a positive,” he told WHOTV. Ehrecke is not alone, either. Cedar Rapids mayor Ron Corbett is running for governor this year, and he’s been vocal in his support of sports betting, too. Corbett ball-parked about $20 million in expected annual revenue, which the state would use to fund mental health care. He indicated that the industry could be managed by either the casinos or the lottery program. “The commission may authorize a gambling game licensee to conduct advance deposit sports betting wagering An advance deposit sports betting wager may be placed in person on a licensed excursion gambling boat, licensed gambling structure, or in a licensed racetrack enclosure, or from any other location via a telephone-type device or any other electronic means. The calculation of tax on sports betting revenue is a bit convoluted. The wording of the bill as written appears to tax a portion of handle at a very high rate. According to lobbyist declarations, the NBA and Major League Baseball are opposed to the bill as written. None of the previous gossip seemed to indicate Missouri was imminently going to move on sports betting. On Tuesday, though, Rep. Bart Korman introduced the state’s first piece of legislation on the topic. The gaming commission may authorize a person who is licensed to operate excursion gambling boats or licensed to operate fantasy sports contests to conduct sports wagering. In addition to allowing casino boats to conduct sports wagering, Korman’s bill would extend that permission to daily fantasy sports operators. It would also allow the state lottery to launch games based on sporting events. Missouri legalized DFS in 2016. Since then, five companies have applied for a fantasy sports license. Each of those operators pays a maximum of $10,000 annually plus a tax rate of 11.5 percent on revenue. The state has yet to set the rates for sports betting operations. Under the proposal, those 11 entities appear to be the ones allowed to accept wagers, as the bill is written. No sports betting law will take effect until there is resolution at the federal level. Eric Ramsey contributed to this report.